In recent years, policymakers across the world have launched initiatives to increase the amount of "soil organic matter," or SOM, as a way to improve soil health and boost agricultural production. Surprisingly, however, there is limited evidence that this strategy will actually improve crop output. A new paper by Yale researchers quantifies this relationship between soil organic matter and crop yields at a global level. Writing in the journal SOIL, they affirm that greater concentrations of organic matter indeed produce greater yields—but only to a certain point. Specifically, they find that increasing soil organic carbon—a common proxy for soil organic matter—boosts yields until concentrations reach about 2 percent, at which level they tend to hit a saturation point. Thereafter, the researchers say, the increase in SOM begins to deliver diminished returns. Even still, they find that roughly two-thirds of agricultural soils dedicated to two of the world's most important staple crops—maize and wheat—fall below that 2-percent threshold, suggesting the vast potential for agricultural policies that promote increased soil organic matter. "The premise for so many sustainable land management practices is that if you increase soil organic matter you're going to increase production," said Emily Oldfield, a Ph.D. student at the Yale School of Forestry & Environmental Studies (F&ES) and lead author of the paper. "But when you dig into the literature, there are very few empirical studies that actually directly quantify that relationship." "These results show that there is value in setting evidence-based SOM targets for many land stewardship initiatives," she said. "They also suggest that we must move away from a qualitative 'more is better' approach to soil health policies and toward specific regional and local targets that can achieve measureable agricultural outcomes." For years, policymakers have emphasized the role of soil organic matter in a series of programs, including the "4 per 1,000" initiative of the Soils for Food Security—which emerged from the COP21 negotiations—and the U.S.'s "Framework for a Federal Strategic Plan for Soil Science." And yet when it comes to its role in promoting crop production, there's been a surprising dearth of quantitative evidence, Bradford says. For Bradford, this gap in knowledge has been a nagging concern for nearly a decade; a 2010 National Research Council report on sustainable agriculture described organic matter as the cornerstone of most sustainability and soil quality initiatives, he recalls, yet offered no information on how much was actually needed to increase crop yields and reduce fertilizer application. "I was always telling people about how important soil organic matter was, and yet here was a national synthesis from our top scientific body saying that we did not have the data to say anything meaningful," Bradford said. "Our paper is the first really synthetic attempt to put numbers out there to guide practice by helping to establish targets." "The result is that we now have numbers, not just unverified ideas, that if you build organic matter you can improve outcomes—such as less fertilizer and increased yield," Bradford said. "It's a place to start to bolster soil stewardship efforts for a healthy planet and enhanced food security." 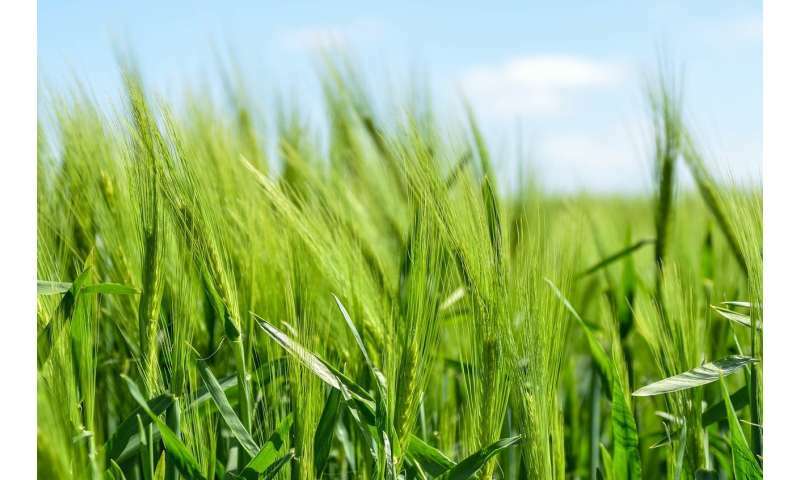 And while the research represents a global analysis, he said, the methodology will make it easier for targets to be identified at specific agricultural sites worldwide. "Because all locations will have different thresholds of how much a soil property can be changed and what level of a soil property is 'good' for that place," Wood said. Added Bradford: "We now want to work on refining these relationships for specific regions and even specific farms, and we hope to forge partnerships with agriculture companies to realize this possibility."